Wagering requirements are bonus x 40. Restricted countries: Players from Australia, United Kingdom, United States, France, Russia, Costa Rica, Cyprus, Czech Republic, Hungary, Israel, Malta, Poland, Romania and Ukraine are not accepted at SlotJoint Casino. SlotJoint is an online casino which is run by a Canadian setup. It is registered under Northern Entertainment NV whose office address is Groot Kwartier, Curacao. The casino is licensed by the same government's gambling commission. The team that runs this online platform includes several investors and enthusiasts who have experience in running gambling operations in Canada. It ensures fair gambling for all players with random number generator principle followed in all their software. It is accredited and audited by independent third parties such as TST, which is a renowned group called Technical Systems Testing. SlotJoint prides itself in being an independent portal that is operated and owned by respective authorities as mentioned above. They have gambling license in place and contract their software from established brands in the industry. They have their own team of auditors who ensure that required gambling industry standards are met in all their processes and offerings. Adequate importance is given to customer support for all customers. This is offered by an in-house team that ensures that all inquiries, complaints, and suggestions received are duly noted and action is taken promptly to ensure customer satisfaction. 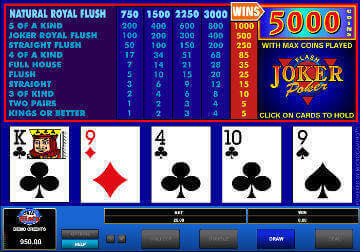 There are over 300 casino games to be found on this site. These also include slots with a jackpot prize of millions of dollars, live dealer games and mobile blackjack which are popular and highly in demand titles across most forums. Those who sign up new at the site will come across welcome bonus package as well as weekly bonuses. SlotJoint Casino are giving you $1,000 Free on your first 5 deposits. The company carries forth the heritage of North American casinos and the same is reflected in their bonus and reward systems. There is also a loyalty program called SJ Rewards Club. Those who sign up for this membership program become entitled to weekly bonuses and reward points. Advantages are several of being part of this membership program. Not only will players accumulate points for playing but can also get cash equivalent of the points they gather. There are weekly bonuses that customers can avail of to increase their wagering deposits in their accounts. If you choose to accept SlotJoint Casino bonus, terms and conditions apply. Please play responsibly. 18+ only. All these methods can be used for making deposits or withdrawals. In most cases there are no processing fees charged and processing time is instant in case of deposits while withdrawals have a minimum time frame. There is a minimum deposit and withdrawal amount to be followed as well as maximum limits that are applicable. These are usually common for all methods but there are variations of payment options as per the customer's country of origin. The favorite slot games of the casino portal as ranked by customers and gamblers are also made available on their mobile casino site. Those who wish to continue to play their favorite titles on the go can simply visit their IOS or Android smartphone or tablet's app store and download the app. Once that is done, registered customers can log into their accounts and continue to wager and win on their favorite titles on the app. There are about 50 slot games and 3 blackjack variants made available on the mobile app. The other categories that are on their mobile app include 2 baccarat and 2 roulette versions. Customers love the live streaming of table games that are dealer based. The interactive experience of these games makes them highly popular and that is what customers look forward to. The casino site has its own proprietary system for running the live section. One popular game in this section is Texas Hold'em; the games are streamed directly from a studio in Costa Rica. SlotJoint has an extensive selection of slot games from reputed software providers as well as mobile games and live casino section. Being a licensed portal it ensures a safe and fair gambling platform to all customers.